The Election Commission said the accuracy of the Electronic Voting Machines 'is beyond doubt'. New Delhi: Rejecting the Opposition's charge that the Electronic Voting Machine (EVM) in Madhya Pradesh's Bhind had voted only for the BJP during a demonstration last week, the Election Commission (EC) today said, "it is completely false to say that at multiple times slips of lotus were printed on pressing different buttons". After the video of demonstration of the EVM in Bhind went viral, a report by the Election Commission team today said that "the accuracy of the functioning of the EVMs and Voter-Verified Paper Audit Trails (VVPAT)... is beyond doubt". 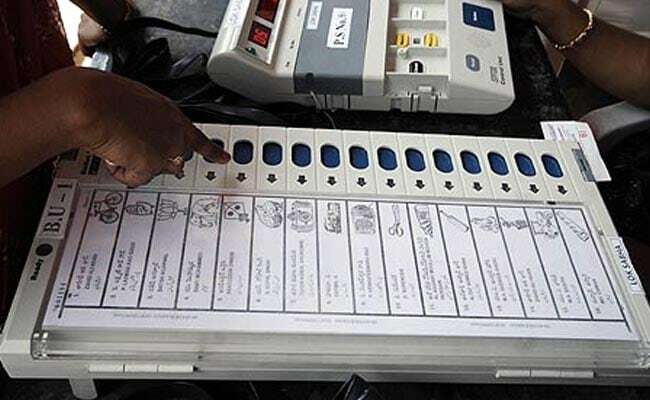 "The team has found no anomaly or tampering in EVM and VVPAT used during demonstration in Bhind on March 31," the report said. 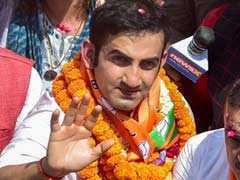 The video had showed the EVM recording a vote in favour of the BJP irrespective of which party was selected. Based on the video, the opposition parties alleged that EVMs could be tampered with. Delhi Chief Minister Arvind Kejriwal, too, joined the chorus and said that tampering on a "massive scale" was exposed in Bhind. But the EC team said when four buttons were pressed on the machine during the demonstration, only one went to lotus. The report also said that the lapse related to non-deletion of the pre-loaded data of Govind Nagar in UP from where VVPATs (not EVMs) were received and reloading of the symbols/data of dummy candidate before demonstration as per the protocol demand action against officers in charge and made it clear that "there should be no room for casualness in handling the electoral matters". Three district officers lost their jobs and an inquiry was initiated against 19 others for not doing their job well.